Random thoughts...let's keep moving here. So since Mitch is currently working on the boys' bathroom (and Finn's closet), I've been inspired (pretty sure he has been too). I'm pumped. 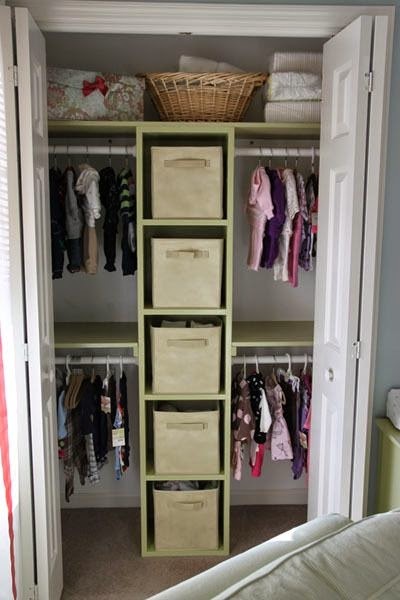 I'm excited to make Finn's closet more functionable. And we pretty much have to use every square inch of space in there now that it's now a pretty tiny closet. The inside of Finn's closet has been drastically cut back to approximately 24" wide, so that doesn't leave a whole lot of extra space. One thing Mitch decided to do is notch out some hidden storage for our ironing board (yeah, remember those things?) Since the bathroom closet is on the opposite side of the wall, it would have been super deep if we had gone all the way to the studs. So that smarty pants Mitchell decided to create a little niche in Finn's closet by shortening the depth of the bathroom closet. Follow that? The niche is right inside Finn's closet to the right. It's the perfect size for something tall and skinny (like an ironing board). Boom. Great idea, right? He was able to salvage almost all of the cedar wood from the previous space and reuse it in this new closet. So deconstruction was very carefully executed, which might have taken a bit longer, but it saved us money in the long run. So what we're thinking is simply adding two bars for hanging stuff and shelves on top of the bars, for setting things on. 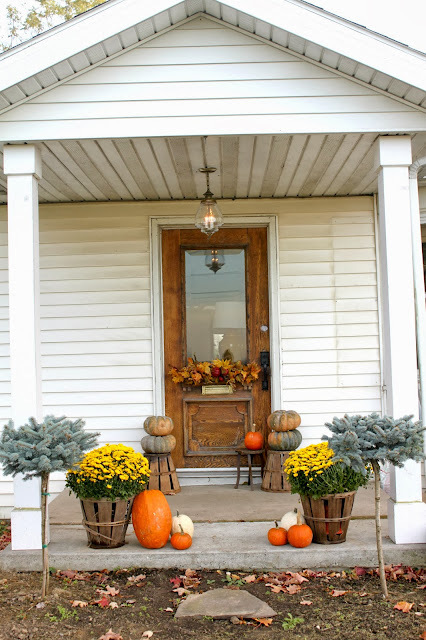 Kinda like this, minus those shelves on the left there. It'll look something like this, but only one sided (not with the cubes in the middle). Small? Yes. But efficient. I think it'll be great. 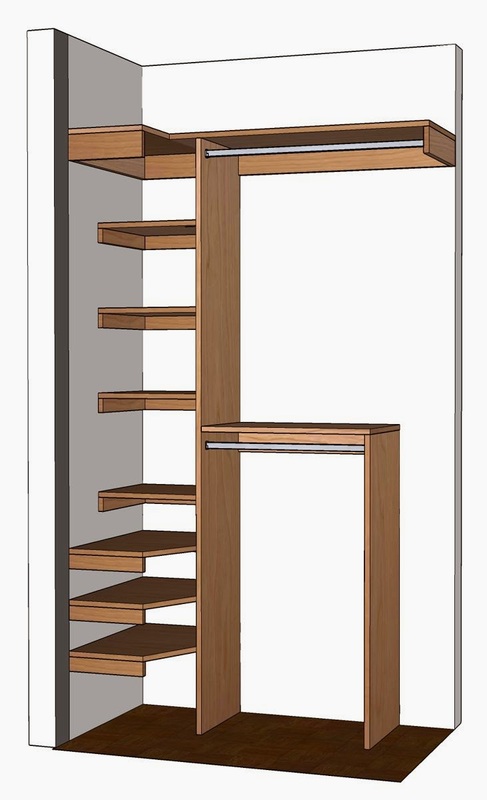 There may even be room on the floor for some kind of shoe storage. We'll see. 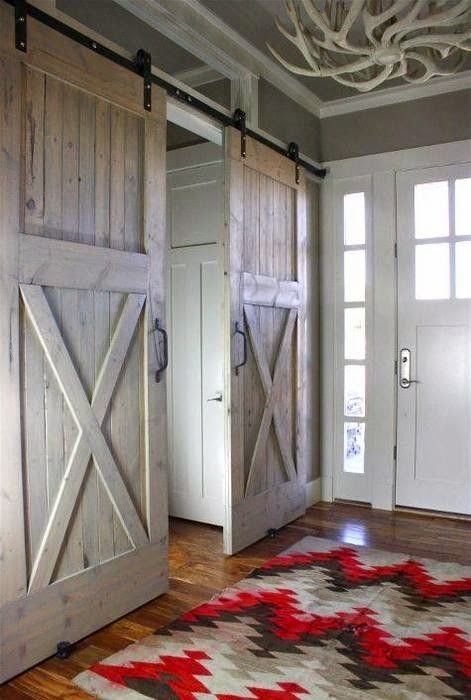 And I'm really feeling the barn door look as well. Diggin' the X's here. So...we're looking around for some inspiration and ideas. I'm kinda itchin' to do something completely different/unique but so far, I got nothing. we'll be chippin' away over here. Looks like we'll be finishing up the closet this week. So stay tuned! You can follow MLST on Instagram (kathertzler) and/or Facebook. 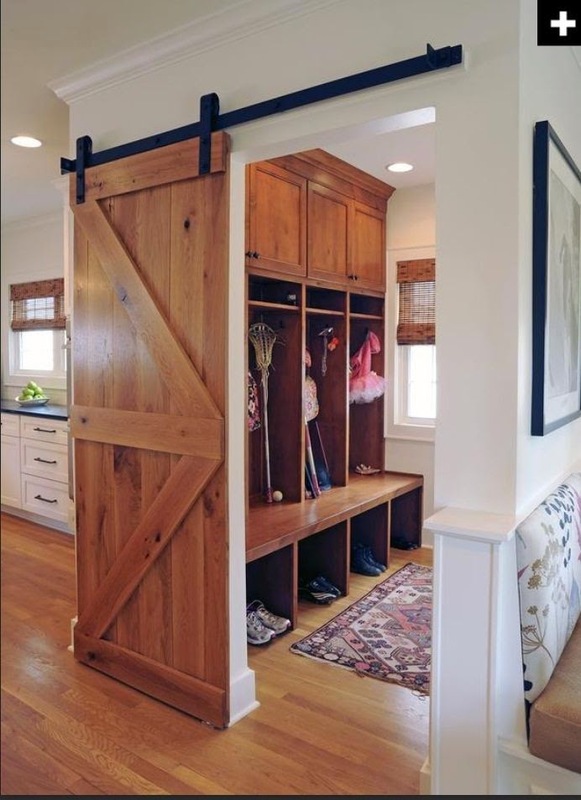 When my parents were building their house 20 years ago there was great discussion about the laundry room being big enough to leave the ironing board out all the time. ha. 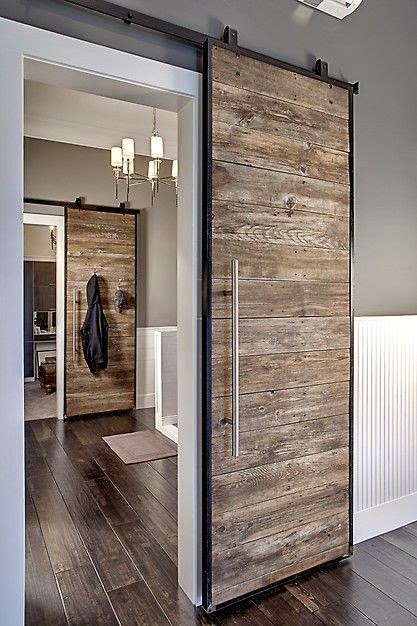 What will you do about the paneling on the new bathroom wall? 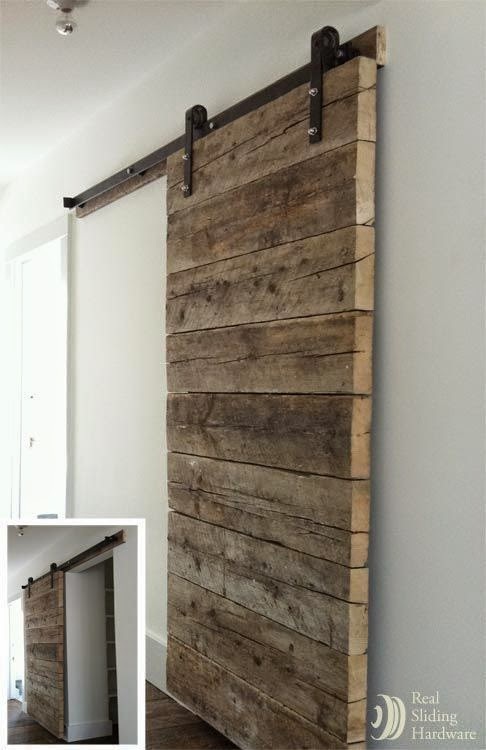 Oh and I love the horizontal plank barn door. These are very bizarre designs. I love the work thank you. I like your articles a lot and are very nice and beautiful. Thank you for sharing your site.